Imprint Method: HEAT TRANSFER, Imprint Method: UNIMPRINTED - Watch it, buster! The Price Buster cap will give your brand an affordable giveaway that doesn't lack style. 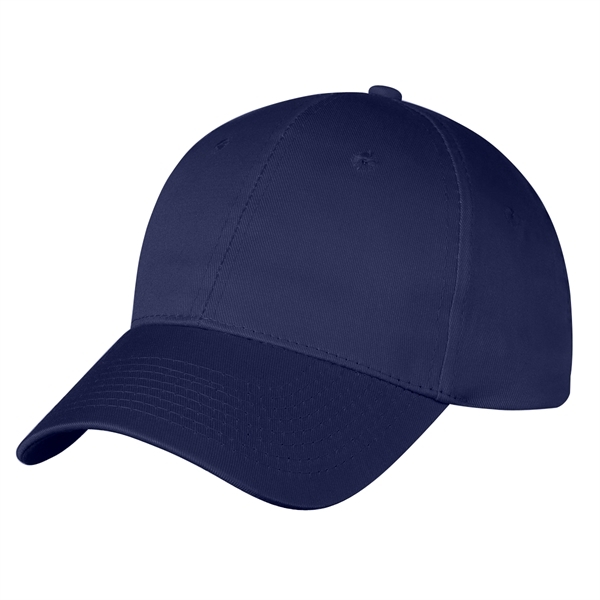 Made of 100% cotton twill, this eye-catching cap has six panels, a medium profile, a structured crown, a pre-curved visor and an adjustable self-material strap with hook and loop closure. It is available in several colors and can be customized with an imprint of your brand logo to increase visibility. No less than minimum on embroidery items. These orders are sold in full carton quantities only. Imprint Size:4 1/2" x 2 1/2"